Perspectives on current issues in teaching and learning. Hosted through the Faculty of Education at the University of British Columbia. Bi-weekly episodes. The first in a series of "best of" Down the Hall episodes, this week we bring laughter and play into your life. We revisit the concept of comedy and creativity in the classroom with some excellent excerpts from previous episodes. We all love to laugh (as regular listeners of Down the Hall already know), and laughter can actually be a great way to engage students in learning. Allowing students to be creative can also help them learn. We’d love to hear from you about your thoughts on our discussions or interviews and we’re always open to hearing suggestions for the show. 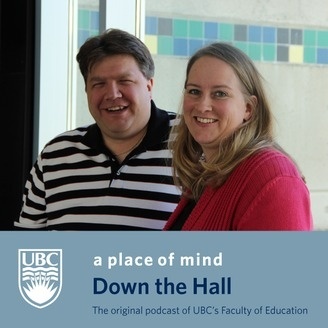 Email us at podcast.pdce@ubc.ca.